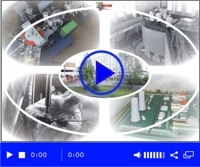 XXVI International Seminar "Nonlinear Penomena in Complex Systems"
The Seminar is organized on the initiative of Joint Institute for Power and Nuclear Research – Sosny with the support of the National Academy of Sciences of Belarus, the B.I. 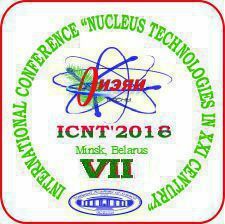 Stepanov Institute of Physics of the National Academy of Sciences of Belarus, the Joint Institute for Nuclear Research, the Institute for Nuclear Problems of Belarusian State University, the Belarusian State University. Belarusian Republican Foundation for Fundamental Research. Proceedings of the Seminar will be published as a separate book. Selected papers will be proposed for publication in the international journal Nonlinear Phenomena in Complex Systems . The journal is indexed in the international science-based databases (SCOPUS, Web of Science/ESCI, RINC). VII International Conference "Nuclear Power Engineering, Nuclear and Radiation Technologies of the XXI Century"
The Conference and the Seminar are organized on the initiative of the Joint Institute for Power and Nuclear Research – Sosny of the National Academy of Sciences of Belarus with the support of the National Academy of Scinces of Belarus, the Ministry of Energy of the Republic of Belarus, the Ministry of Natural Resources and Environmental Protection of the Republic of Belarus, the Ministry for Emergency Situations of the Republic of Belarus, and the Belarusian Republican Foundation for Fundamental Research. The Conference is aimed at discussion of methodological, ecological and social aspects of atomic energy use in the modern period, technical solutions for their achievement, analysis of the state of scientific research on nuclear and radiation technologies, elaboration of principles for implementation of the scientific research in the field of modern development of atomic energy: plants safety, NPP upgrading, radiation state monitoring, radioactive waste management, and personnel training for NPPs. Conference working languages are – English and Russian. Registration of the participants from 8.30 to 10.00.